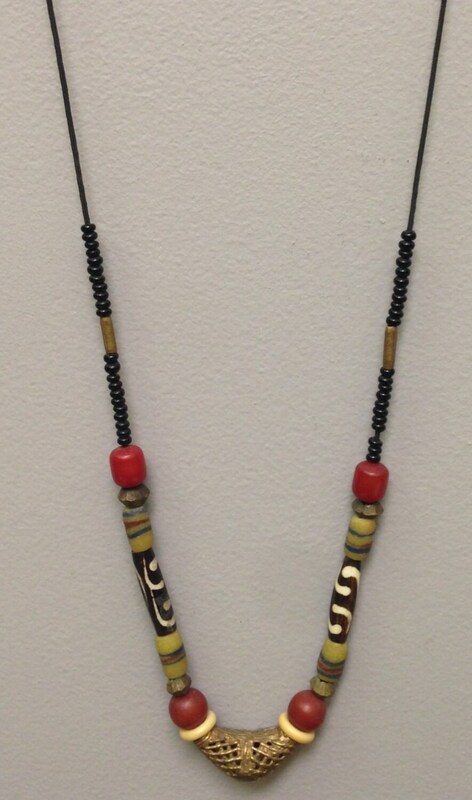 The African Brass Pendant and beads comes from Baule with African Batik Bone, Sand Cast glass, Buri Nut beads, African amber and Tree seeds strung on brown waxed linen cord. This necklace can adjust to any length. 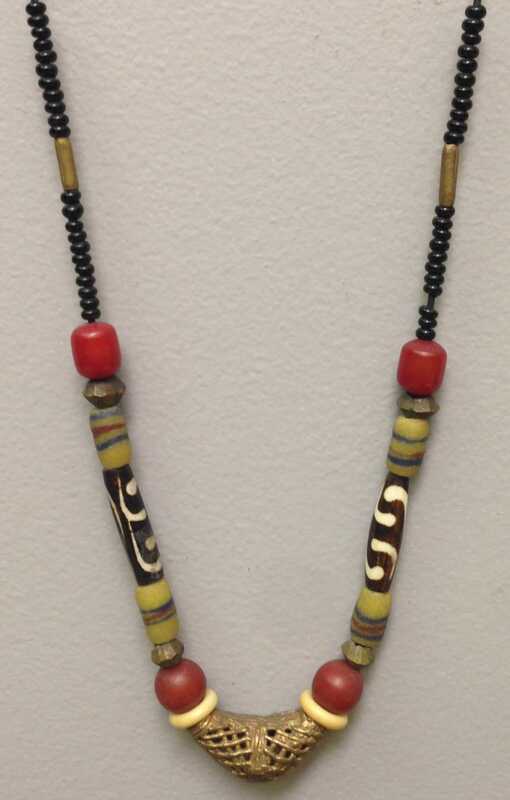 This necklace can be worn by women or men. A very lovely offering. It was well packed and promptly shipped. Beautiful necklace! I love the design! Thanks!